Hyperion. Hardcover. GOOD. Spine creases, wear to binding and pages from reading. May contain limited notes, underlining or highlighting that does affect the text. Possible ex library copy, thatâll have the markings and stickers associated from the library. Accessories such as CD, codes, toys, may not be included. Hyperion Press, 1999. Hardcover. Very Good. Disclaimer:A copy that has been read, but remains in excellent condition. Pages are intact and are not marred by notes or highlighting, but may contain a neat previous owner name. The spine remains undamaged. At ThriftBooks, our motto is: Read More, Spend Less.Dust jacket quality is not guaranteed. Hyperion. Hardcover. 0786865687 Ships promptly from Texas. . Very Good. 1999. Hyperion. Hardcover. 0786865687 . . Very Good. 1999. Hyperion. Hardcover. 0786865687 Has moderate shelf and/or corner wear. Great used condition. Over 1,000,000 satisfied customers since 1997! We ship daily M-F. Choose expedited shipping (if available) for much faster delivery. Delivery confirmation on all US orders. . Very Good. 1999-09-22. Boston, Massachusetts, U.S.A.: Hyperion Books, 1999. Near fine book. Stated first. Slightly cocked, but still tight & sound.. First Edition. Hard Cover. Near Fine/Near Fine. 8vo - over 7¾" - 9¾" tall. Hyperion. Hardcover. 0786865687 Ships from Tennessee, usually the same or next day. . New. 1999. Hyperion. Used - Good. Ships from Reno, NV. Shows some signs of wear, and may have some markings on the inside. 100% Money Back Guarantee. Shipped to over one million happy customers. Your purchase benefits world literacy! Hyperion Books, 1999 First Edition. Hard Cover. Very Good/Very Good. New York: Hyperion, 1999 First Printing. Octavo, hardcover, black cloth w/ gilt on spine. NF, no dj. 283 pp. including notes on authors. 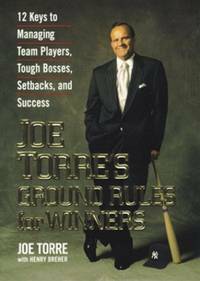 12 Keys to Managing Team Players, Tough Bosses, Setbacks, and Success.. Very Good/No Jacket. Very Good. First Edition - 1999 - Hardcover. Author: Joe Torre with Henry Dreher. Publisher: Hyperion, NY. 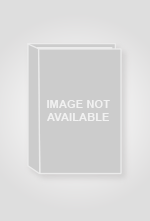 This book appears to be UNREAD. The dust jacket has light shelf wear. The boards look new. The spine is straight, stiff and tight. The edges are spotless. Inscription to prior owner on first blank page of book. The text is bright, crisp and unmarked. - We grade conservatively, package securely and ship immediately. Excellent customer service. Satisfaction guaranteed. Hyperion. Hardcover. 0786865687 Fast handling - Orders prepared for Shipping Next Business Day! . Very Good. New York: Hyperion, 1999. Light wear. Dj has very light edgewear.. First Edition. Hard Cover. Very Good/Very Good. 8vo - over 7¾" - 9¾" tall. Hyperion. Used - Very Good. Very Good condition. Very Good dust jacket. Short gifter's inscription on inside. Hyperion. Used - Like New. Like New condition. Very Good dust jacket. Hyperion. Used - Good. Good condition. Very Good dust jacket. Gifter's inscription on inside. NY: Hyperion, 1999. 1st Edition. Hardcover. Very Good/Very Good. 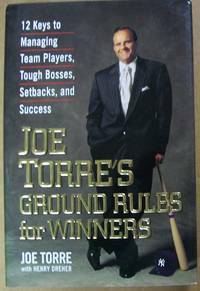 In Joe Torre's Ground Rules for Winners, the Yankee manager reveals the twelve keys to his phenomenally successful management philosophy--keys directly applicable to business and to life. Drawing from his years of experience in the corporate microcosm that is professional baseball, Torre shares his wisdom on the universal concerns of managers--handling tough bosses, dealing with both setbacks and success, earning the trust and respect of your team players, and bringing together a diverse group of individuals into a cohesive unit with a willingness to make the sacrifices necessary to win. Hard cover in new condition. Text block clean and tight. No markings noted. Stated First Edition. Book has a pictorial cover.